Log Cabin Rentals - Do you need some advice? “Are You thinking about Log Cabin Rentals? 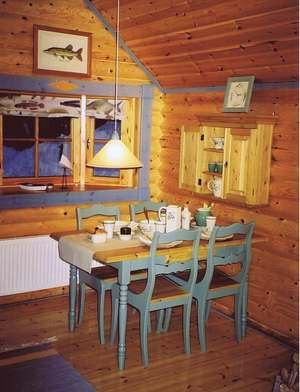 Every year many people do log cabin rentals, as they are a great place for a holiday! The type of cabin you may expect to find will vary depending on your global location. For log cabin rentals in North America you would probably expect to find more rustic, larger log cabins, many in mountainous locations. In the UK log cabins are more likely to be more compact and machined log construction, and will often be in the countryside or in woodland. In Scandinavia a favourite location for a log cabin holiday would probably on a lake somewhere, in a well insulated cabin. Other locations will provide different experiences and backdrops. All good cabins, however, should offer you a great and very relaxing holiday experience! We’ll help you to decide how to choose the best log cabin rentals for you and your family. Which aspects of log cabin rentals should you look at? 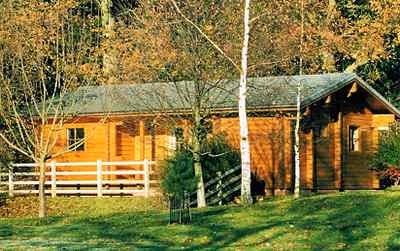 The time of year you plan to undertake log cabin rentals may influence what activities you can do on holiday. The summer is the time most people like to get away, as the weather is normally nice and the opportunity to get outside is the greatest. You may well be restricted by school holidays so you have to plan around this. A log cabin though is a very cosy place to spend the winter months, and of course is the perfect place to stay on a skiing holiday! The location of your log cabin rentals and the surrounding area will be a significant part of the overall appeal. The surrounding area will provide opportunities to do certain activities and may well also provide stunning views or beautiful surroundings. The actual location of your log cabin within the site may give you different aspects, so always try and check to see that you are getting what you hoped for. You preferably want to have unspoilt views and don’t want to be looking onto loads of other cabins. The orientation of the cabin can also be important, especially if you are a sun lover! While most companies will try and give the optimum aspects to all their cabins, remember sites which have restricted space may not be able to do this for every unit. So if in doubt, ask! The onsite facilities (especially if you have children) can be a big part of the overall appeal. Some log cabin rentals are designed to be out in the wilds with limited amenities and that is great for those wanting a get-away-from-it-all holiday. For those who want the rustic charm of a log cabin with all the creature comforts and attractions right there, then it is probably going to be better to pick a larger holiday park which has things like swimming, sport facilities, playgrounds etc. Also if you have small children, features like large open lakes (or ponds) or unprotected drops, will then become a worry and a potential hazard. While we always try and romanticize a holiday, it pays to be practical when choosing the best places to go! It doesn’t necessarily matter if your site doesn’t have a lot of amusements and activities if these can be found in the local area. Especially if they are within walking distance, then this can be quite fun exploring! A great range of indoor and outdoor activities is best, in case the weather doesn’t turn out to be as good as you’d hoped! If you are staying in mountainous areas also check to see how long it will take you to get anywhere. A short distance on a map can sometimes take a long time down a steep, twisty mountain road! The big one: Price! Ultimately our choice is largely dictated by price. Prices will obviously vary a lot, but always look out for special offers. Booking well ahead in off season can sometimes save quite a lot of money. For those with the flexibility of doing cabin rentals anytime of year, going before or after the school holidays can result in much lower prices. Always remember to check to see what’s included in the price and what are extras. A low headline price can sometimes be misleading if everything else is not included!